Saturday, March 31 from 7:00 p.m. until 9:00 p.m. Learn about the wild fermentation process to produce authentic sake with sake brewery Terada Honke at RESOBOX’s East Village location. Most sake breweries use the koji microorganism that is grown in a lab and add alcohol during the process to yield more sake through an automated system. By contrast, Terada Honke, a 340-year-old sake brewery in Chiba Prefecture, grows their koji organically on the premises. They make sake from scratch, cultivating pesticide- and herbicide-free organic rice, and implementing a traditional wild fermentation method all by hand. Although their yield is smaller than that of other breweries, Terada Honke is recognized as the producers of one of the finest organic sake in Japan and worldwide. Noma, an award-winning restaurant in Copenhagen, offers Terada’s unique sake to their health-conscious customers. 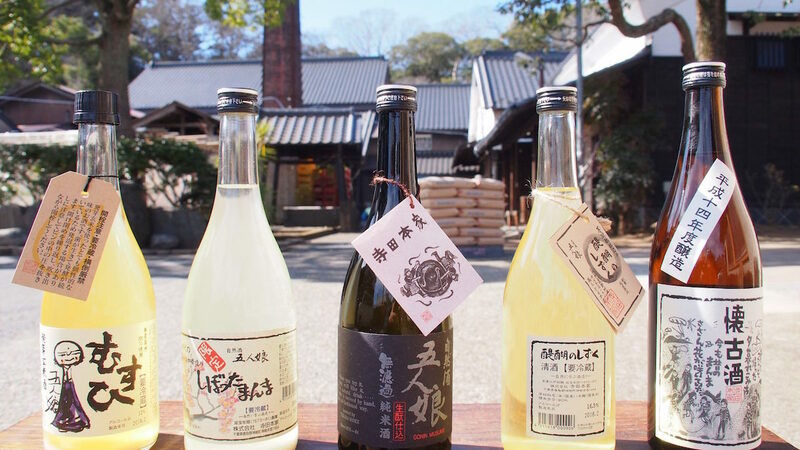 In this workshop, Masaru and Satomi Terada will introduce a traditional method of sake brewing, and the pivotal role of microorganisms in the fermentation process will be highlighted. Participants will have an opportunity to taste five different flavors of organic sake by Terada Honke, not available in the United States. The sake will be served with homemade appetizers made with “sake kasu” (sake lees) and “koji” (rice malt). The admission charge of $50 includes the sake and appetizers. For more information and to purchase tickets, please visit RESOBOX’s website.